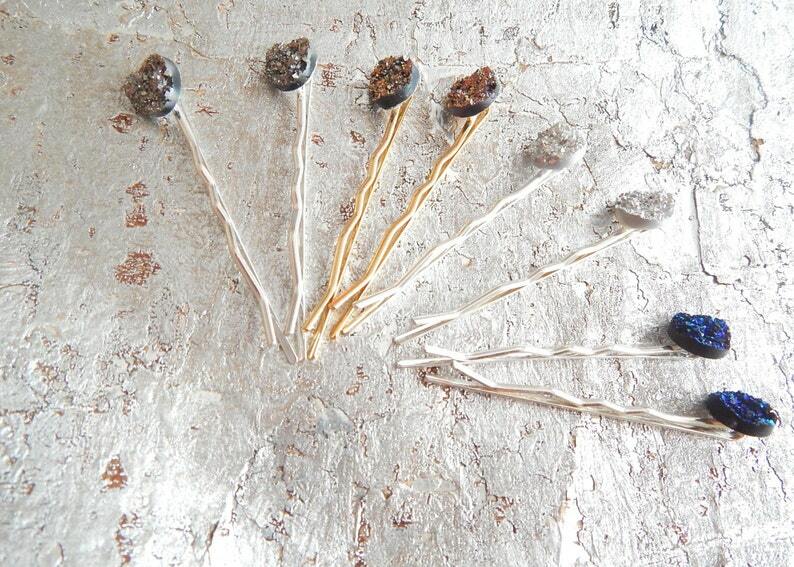 Mesmerizing faux druzy hairpins with all the sparkle of space (and none of the dust!). Sparklers measure 12mm, almost 1/2 inch and are securely attached to a 2 inch (5.08 cm) bobby-pin. Available in meteor blue, space dust pink, spaceship (dark) gray.